Ahoy Mateys! 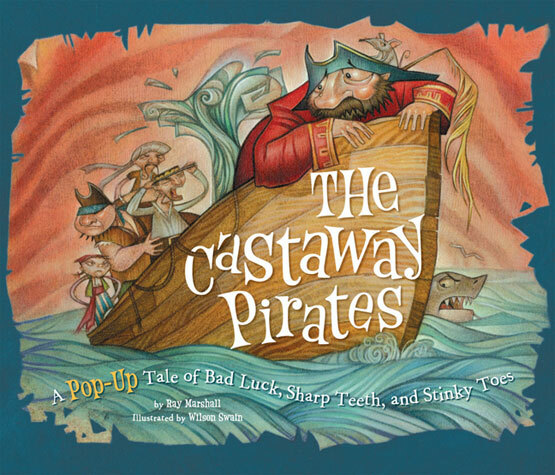 In honor of "International Talk Like a Pirate Day" yesterday, we are sharing our favorite Pirate book. The Castaway Pirates, by Ray Marshall, is my son's favorite book right now. We checked it out from the library about a year ago and kept renewing it until I finally realized I needed to buy it because he wanted to read it so often. As soon as I started reading it, a natural Pirate tune started to come out from the rhyming sentences. Will the shark will eat the pirates with stinky toes? Watch our video below to find out. The ending of the story makes us laugh everytime. The pop-up illustrations, by Wilson Swain, are amazing. The video below is of me reading parts of the book with him so you can hear how we sing the book. My son loves singing along and watching out for the shark. Published by Chronicle Books, you can buy the book or print a Pirate Paper Doll on their site. PIRATE PARTY: For some printable Pirate party invatations, cupcake toppers and more, visit my friend's blog: It's a Tradition Pirate Edition. FACEBOOK PIRATE: Another fun thing you can do in Facebook is change your settings to Pirate language. On your home page, go to account in the top right corner, go to account settings then click on the language tab. Find English (Pirate). Select then you will notice many changes to your status updates and more. 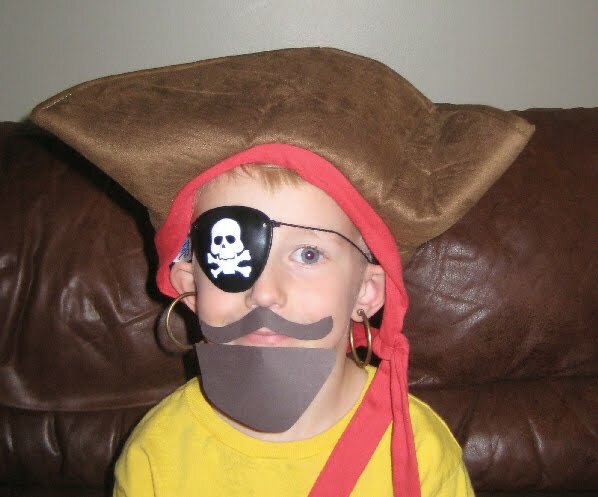 Avast ye Mateys, it's Pirate dress-up time. Wow what an amazing pop up book and great performance!! !